As we mentioned a few months ago, Addgene has been working with Seeding Labs to provide plasmid grants to researchers in developing countries. 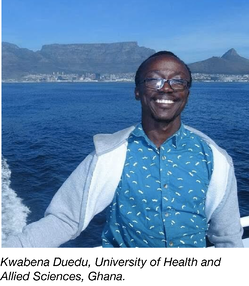 Today we’re proud to announce that we’ve selected our first two plasmid grant awardees: Drs Louis Bengyella and Kwabena O. Duedu, both from the University of Health and Allied Sciences in Ghana. Read on to learn more about doctors Bengyella and Duedu and how they plan to use plasmids from Addgene to advance their research. Dr. Bengyella’s work has focused on elucidating the molecular mechanisms behind interactions between crops like potatoes and their microbial pathogens. 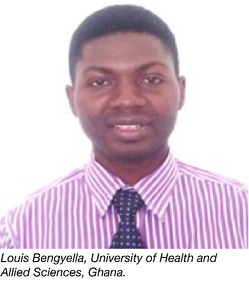 This work has given Dr. Bengwella expertise in using bioinformatic and proteomic tools to discover genes and proteins associated with pathogenesis. In his future work. Dr. Bengyella would like to use the expertise he’s developed as well as CRISPR-based gene repression tools to find and test genes that may play a role in the development of uterine tumors. According to Dr. Bengyella, this class of tumors is “a major public health problem, and a leading cause of hospitalization for gynaecologic disorders” in Ghana. We’re excited to see what impact Dr. Bengyella’s work will have on women’s health in Ghana and around the world. Dr. Duedu’s molecular biology work has focused on using various cloning methods and tools to construct chimeric cellulases that enable E. coli and Citrobacter freundii to generate sugars from cellulosic biomass. Dr. Duedu would like to use the plasmids he acquires through Addgene to produce molecular biological tools like Taq polymerase, T7 polymerase, EcoRI, and various fluorescent proteins. Dr. Duedu’s plans for these plasmids have a heavy focus on teaching. He hopes to teach his molecular biology students about the functions of these powerful tools and to use them as platforms for the construction of new plasmids. Dr. Duedu will also use polymerases produced using plasmids from Addgene to test for the presence of pathogens in environmental samples via PCR. We hope these plasmids will help Dr. Duedu inspire new Ghanaian scientists to continue to do excellent work in the biological sciences. 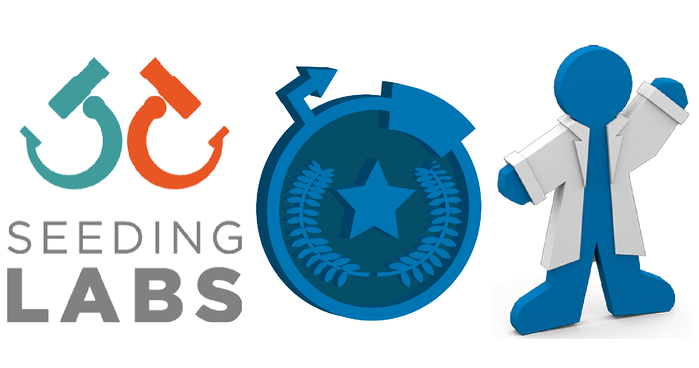 Now that this first round of awards has successfully concluded, Addgene and Seeding Labs will be opening applications for a second round of plasmid awards on June 15th. As previously, these awards will be open to researchers who have received equipment through Seeding Labs’ Instrumental Access program. We are excited to discover what new and creative ideas applicants will propose for plasmids from the Addgene community and hope we can do even more to enable scientists in developing regions in the near future.